With the new generation of terminals from PÖTTINGER farmers have everything under perfect control, even on long working days. The development of the new terminals focussed on maximum operating comfort, ergonomics and automation of each working step. The result is a perfectly coordinated range of operations that provide the right device for any use, from the electronic Pre-Select Control to an individual ISOBUS terminal. The robust electronic SELECT CONTROL features an illuminated graphic display and back-lit keypad so that the nine function keys are also clearly visible at night. 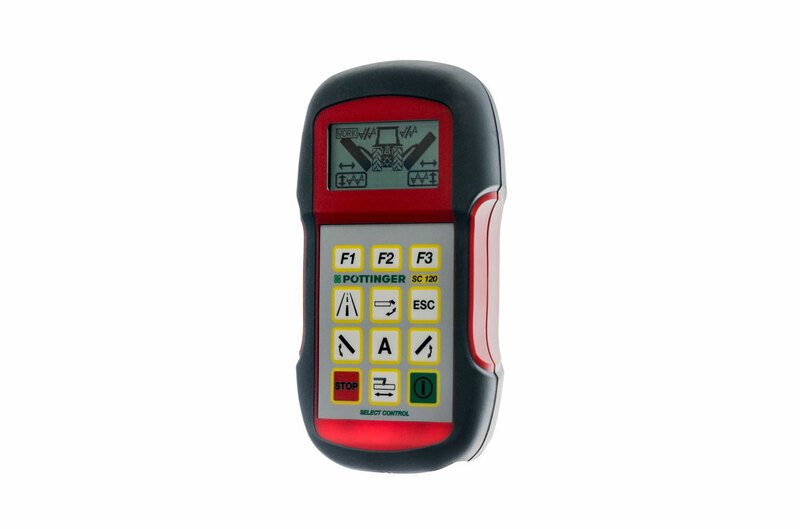 Every function of the equipment to be used can be pre-selected on SELECT CONTROL and then performed using the tractor’s control unit. This means that no lanyards are needed. 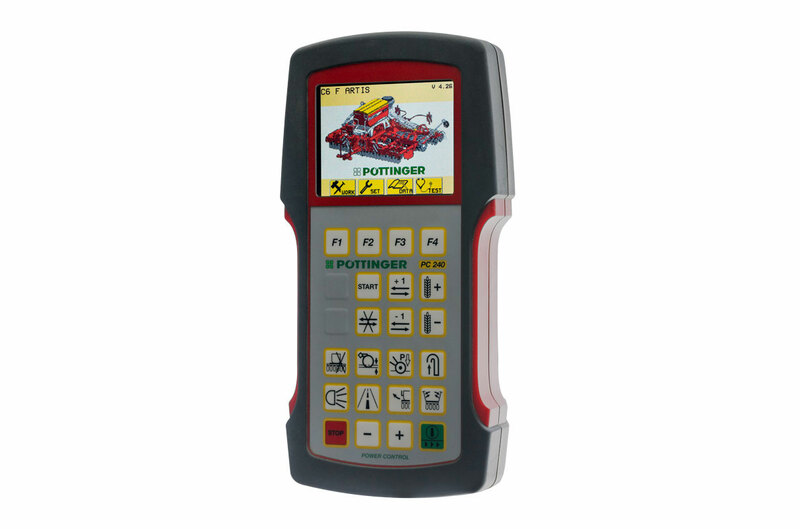 SELECT CONTROL monitors the status of the machinery and prevents faults and damage. 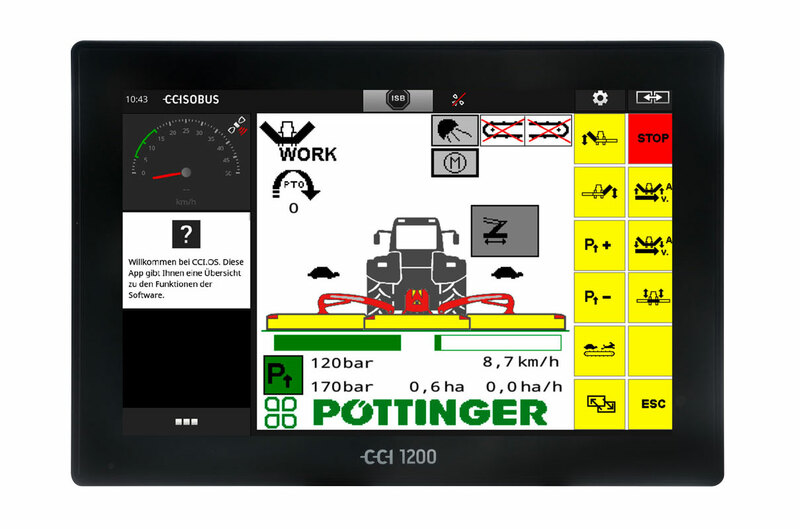 The DIRECT CONTROL electronic control system was developed specifically for PÖTTINGER’s extensive range of loader wagons. Every function can be selected directly: no switching between the loading menu and unloading menu necessary. 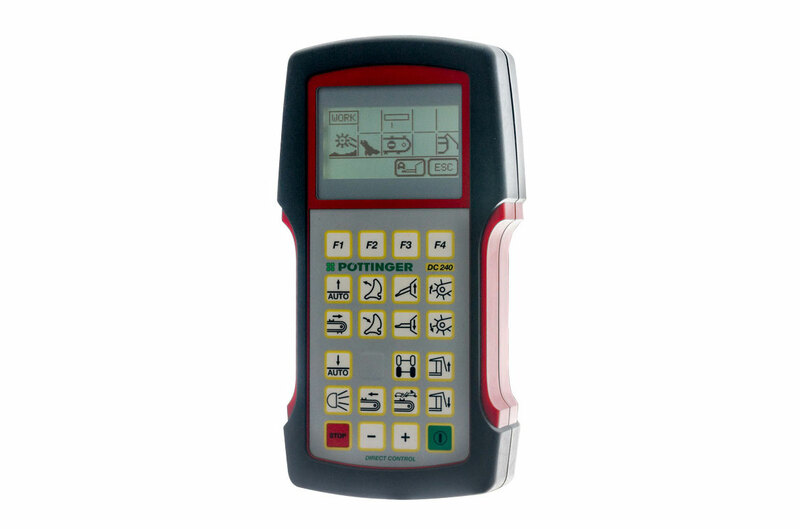 The graphic display and keypad illumination can be set individually. POWER CONTROL is the new standard on all ISOBUS-compatible PÖTTINGER machines. 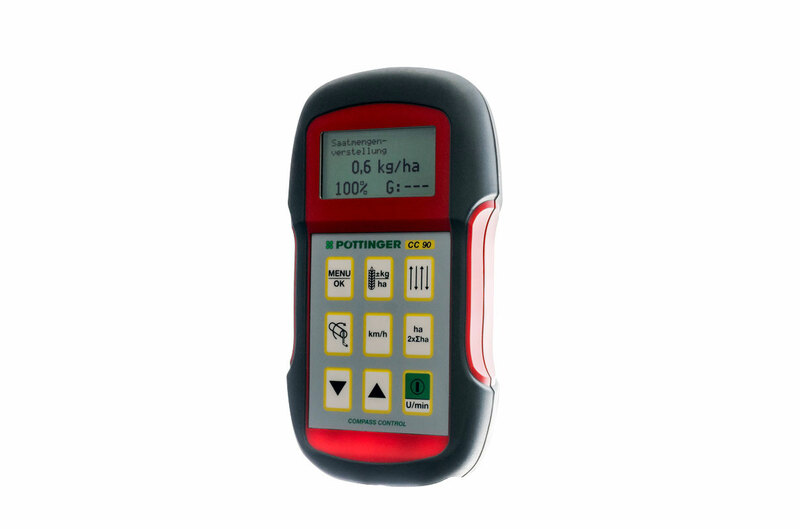 A total of 23 keys offer the highest level of convenience for your work with PÖTTINGER machines. PÖTTINGER has extended the functionality of the POWER CONTROL terminal to provide more flexible operation of loader wagons. Direct control of all functions on the terminal. Automatic functions for loading and unloading. Four function keys for convenient operation of additional equipment. Diagnostics system: error messages are displayed. With POWER CONTROL Wireless the loader wagon can also be operated in comfort from outside the tractor cab. This means, for instance, that perfect unloading of machines with cross conveyor belts is possible. The driver can carry the operator terminal on a strap leaving both hands free to work. The long operating range of up to 100 m guarantees a secure connection between the tractor, machinery and operator terminal. 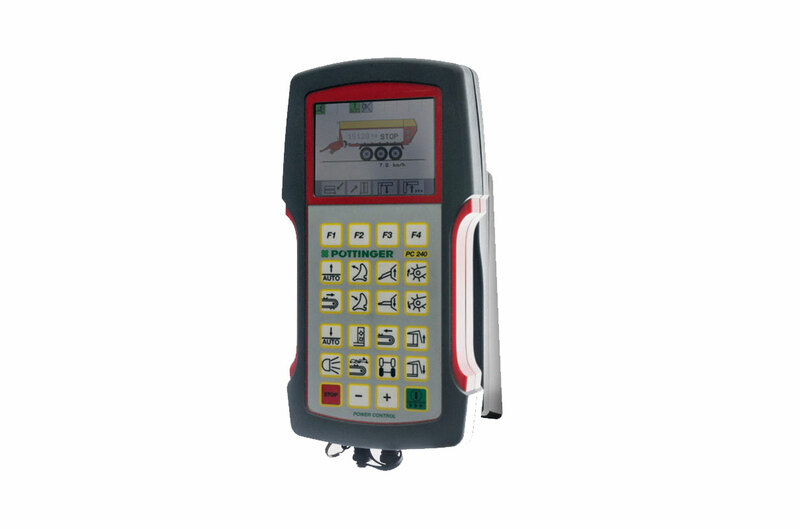 With its intelligent loading management, POWER CONTROL Wireless provides reliable assistance for farmers even for long working periods. PÖTTINGER’s EXPERT ISOBUS terminals allow professional operation of all ISOBUS-compatible machinery from a wide range of manufacturers. Convenient single-handed operation, handle strip for a firm grip. 12 soft keys (F1-F12) arranged in two rows on the right. Input using keys and touch screen. Scroll wheel with confirm function for direct input and adjustment of desired values. Tough plastic housing, compact size. High-end 5.6" TFT colour display with touch screen. Ambient light sensor and illuminated function keys. ISOBUS standardises electronic communication between tractors and mounted equipment all over the world as well as data transfer between these mobile systems and office software used in agriculture. 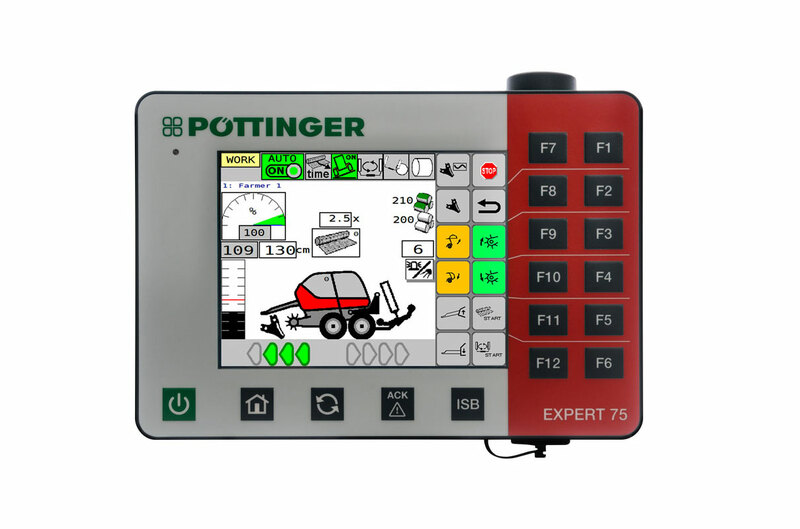 The new PÖTTINGER EXPERT 100 ISOBUS terminal not only offers all the functions provided by the POWER CONTROL terminal, but also enables professional operation of all ISOBUS-compatible machines from a wide range of manufacturers.